If you want a vehicle that embodies the nature of an SUV without the hefty size, you’re in luck. The 2015 Chevrolet Equinox is a crossover worth your consideration, given its competitive starting price, notable power and fuel efficiency guaranteed with two engine options, and more high-tech features to keep you and your passengers entertained no matter where you’re headed. Take a moment to explore how it compares to the 2015 Jeep Cherokee before seeking it out at Sunrise Chevrolet in Glendale Heights. Chances are that finding a quality vehicle at a reasonable price tops car buyers’ list of priorities, which is why the 2015 Chevrolet Equinox is immediately an excellent choice. It starts at just $22,120, versus the 2015 Jeep Cherokee, which begins at $23,095. If you want better value, the Equinox is the clear choice. From the introductory powertrain to the optional one, the 2015 Chevrolet Equinox proves it can provide both compelling performance and practical mileage. Its 2.4L four-cylinder can reach up to 32 mpg on the highway with front-wheel drive and 29 mpg with all-wheel drive, while the 2015 Jeep Cherokee rates at just 31 mpg highway with front-wheel drive. The Equinox’s secondary engine, a 3.6L V6, produces a commanding 301 hp and 272 lb-ft of torque, as compared to the Cherokee’s 3.2L V6 that puts out a mere 271 hp and 239 lb-ft of torque. 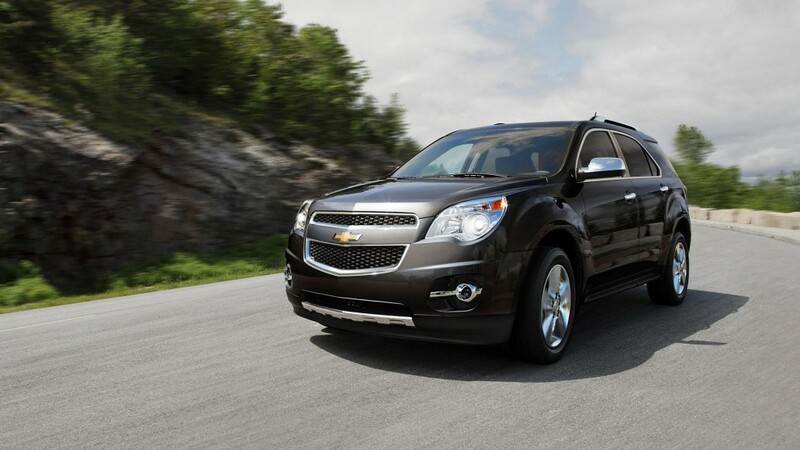 Whether your priority is efficiency or power, the Equinox provides better availability on both fronts. The driving experience relies on more than just what’s under the hood, and the 2015 Chevrolet Equinox has brought it to another level. Standard on every model is an OnStar telematics system that incorporates a 4G LTE WiFi hotspot, allowing up to seven devices to connect to the Internet while on the road. As you move through the trims, a more enhanced infotainment system becomes available, along with improved speakers, more safety options, and a built-in navigation system. The 2015 Jeep Cherokee, on the other hand, doesn’t offer an Internet connection of any sort, nor a telematics system. Fitting your passengers comfortably and packing your vehicle without overloading it are almost always a top priority for the drive purchasing a crossover. The good news is that legroom is extensive in the 2015 Chevrolet Equinox, with seats that slide and recline for even more comfort. This leaves 31.5 cubic feet of cargo space, a much larger figure than the 2015 Jeep Cherokee’s 24.6 cubic feet of dedicated space. The Equinox therefore proves itself as the obvious leader in this respect. Convinced that the 2015 Chevrolet Equinox is the crossover for you? Then make the trek from Bloomingdale to Sunrise Chevrolet, located at 414 East North Avenue in Glendale Heights, IL. If you have questions about the Equinox before you visit, please contact the dealership!